The day of personalization and creative freedom is at an all-time high. Consumers like feeling a sense of ownership and customization, and companies like retaining that customer for it. 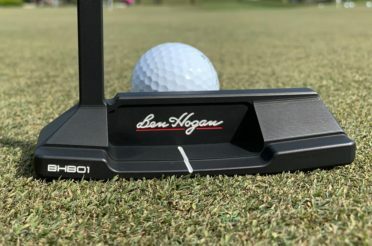 Mixing this with a younger entry age for golfers across the country, it should be no surprise to anyone how in-depth a player wants to go with making his bag set up. 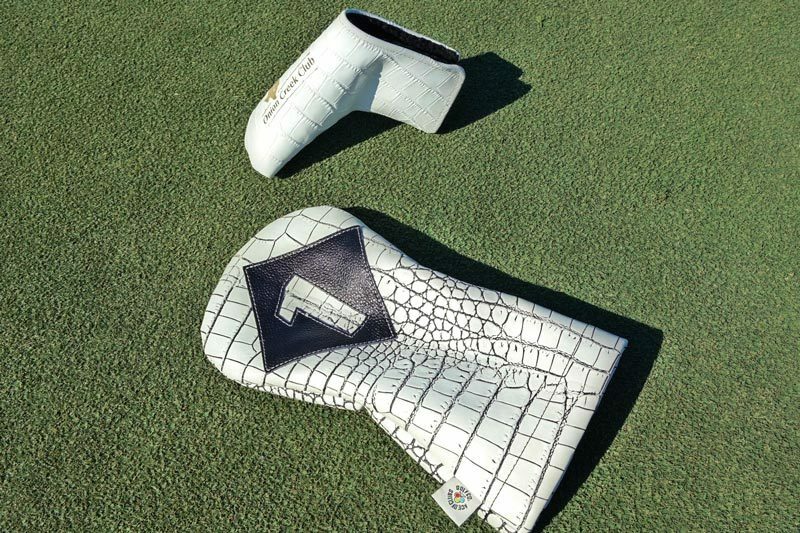 People have been utilizing aftermarket headcovers for decades, so this article certainly won’t be acting as if this is a newly turned over stone. BUT, the level of quality that is out there now is a stone we will be flipping over rather quickly. Everything from custom leathers, exotic skins, and the ability to coordinate colors and logos to your wildish dreams. We have chosen to showcase a few of the big players in the game. In no way is this a comparison segment, in fact, we were cautious who we included on this particular piece. We wanted to be able to show various companies, so we could ultimately offer something for everyone. Similar to Matt and I almost agreeing on nothing fashion-wise, we understand we have a broad following, and this article should have something for everyone. 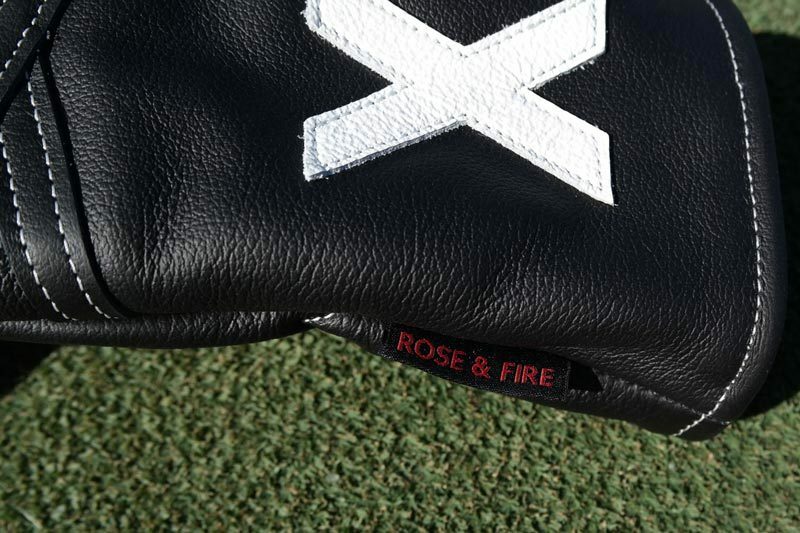 Rose & Fire progresses the craft of building headcovers. We strive to create timeless pieces with exceptional quality that reflects your sense of style.We are innovators, not followers. All of our leathers and materials are genuine. 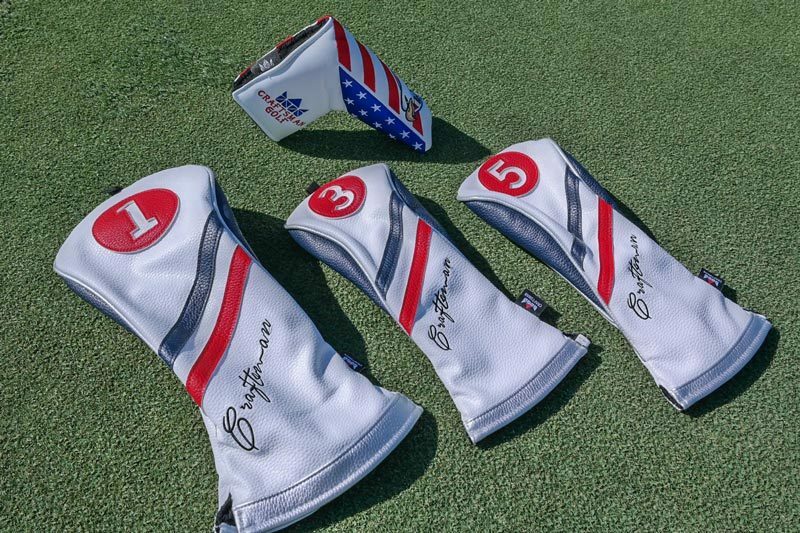 Each of our head covers is carefully designed and made in California, USA with the best materials. Our name comes from the founder and his family. “Rose” was the matriarchal designer, creating hats after World War II. Rose symbolizes classic timelessness, beauty, and a respect for tradition. “Fire” is a play on the founder’s last name and represents the strength and passion infused into everything we create. Rose & Fire has seen a massive increase in market share in 2016 and 2017, and for a good reason. Their stuff is high-quality, moderately priced, and extremely interactive. Interactive? Ok, so they have some program to add custom letters or numbers to a cover? No, it’s much bigger. If you are a Rose & Fire customer, you likely take advantage of Mikes social media platform. Facebook groups, Instagram page, and Facebook pages are extremely interactive with Mike. His interactions may be my favorite part of this company. He is so grounded and involved with his business; it makes you feel like you are a member of a family. So a paragraph in and we haven’t even talked about the product. We will get there, but I do recommend checking out those social media pages. He asks for opinions on what to design next, interactive live sessions in the shop, and special promos with new releases. If you are into this type of consumer involvement (me), this company should be on the top of your list. We received two covers from their Skull edition made from premium leather. They are contrasting with stitched in stripes and a skull logo. 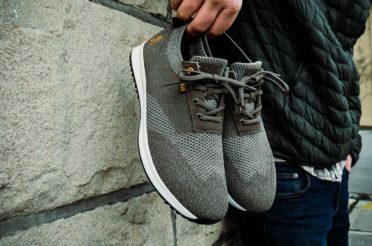 They are water and stain-resistant, featuring a padded inner liner. 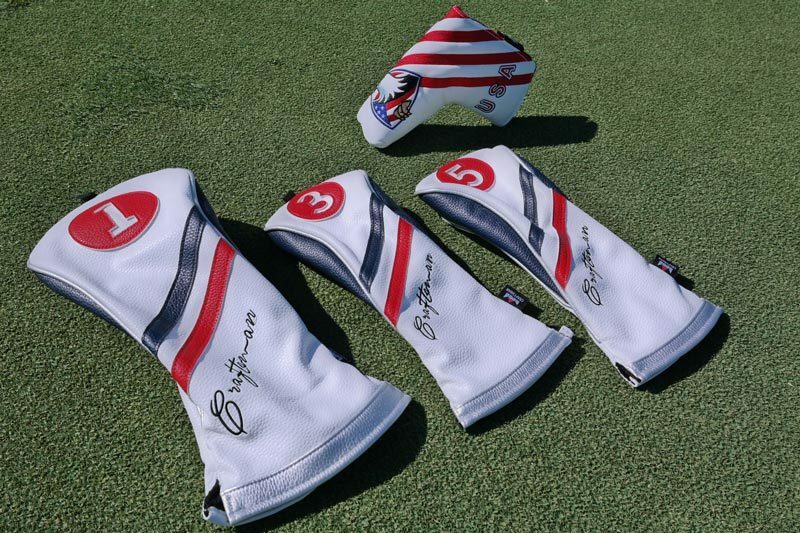 And, they’ll fit your largest driver and have a total of 5 cover options to fill up the bag. Durability is of no concern when holding one of these covers and feeling the construction. If skulls aren’t your thing, that’s fine; he has a plethora of other colors and designs available on the site. Custom options are available, but you will need to contact Mike directly to discuss. He does hundreds of custom orders for anything from club events to corporate outings. 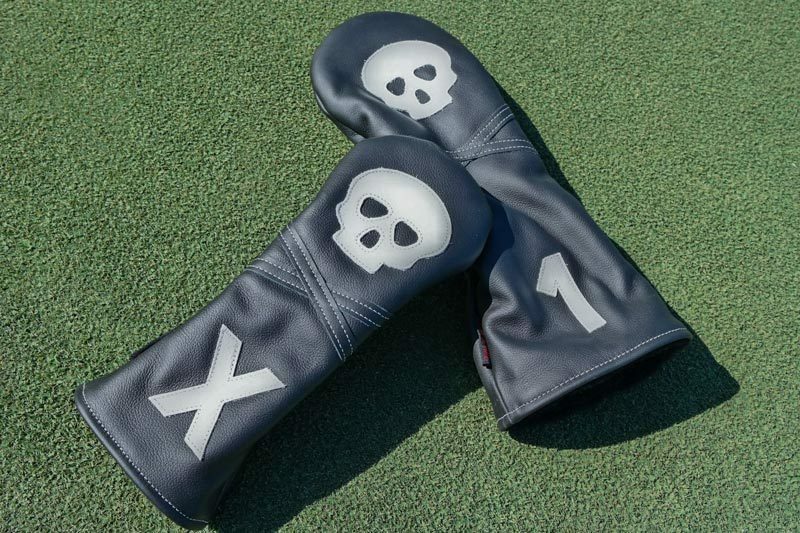 The premium leather skulls range from $49 and up, depending on size and club needed. I encourage you to check out Rose & Fire’s Facebook Group, as well as their Instagram. Also be sure to check out my Review of the Crazy Stripe Covers from Rose & Fire here. David Johnson, a golfer who loves his clubs and art creation, designs and makes head covers for his clubs, and he always finds an excellent sewing team.One Sunday in 2010, David was searching for the inspiration on the California Course, as usual, suddenly, a head cover with premium quality leather, carefully stitches, superior craftsmanship attracted David, it is made by a Chinese woman Ivy who was on her vacation at that moment. They talked freely about golf and head covers; all came up with an idea coincidentally: to create a brand of head covers. Thus, Craftsman Golf was born. So Craftsman sent over a package that screamed America! In perfect time for the US Open and July 4th weekend that is upon us, they are boasting the red/white/blue cover. Craftsman offers an excellent product with no shortage of bold designs. They have everything from a standard one or two color cover, to more of an artistic cover set. There is no doubt with the bold designs of Craftsman; they are a swag item for your bag. With the wide variety of colors offered, you can match any golf bag with ease. 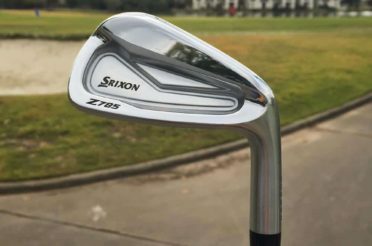 The trio we received is sleek, soft, and very form fitting around the club. That may leave you questioning, form fitting, what? Most people’s experience with the new slip on style covers the big OE’s are trying to catch up on is a stiff, hard and unpleasant cover. These covers from Craftsman are the exact opposite. Similar to a nicely tailored suit vs. the clearance section at Sears. I love how the colors popped on these covers. With a set of three, they could change the look of your entire bag. Craftsman proudly stitches their name on the covers, the only brands we reviewed to do so. Which is fine, but I feel is worth mentioning. These amazing covers start at a retail price point of $38.50 for the hybrid, or $106 for the three-piece set. The driver will fit up to a 460cc driver head. Check out their Instagram, and their vast selection on their website. They are delivering a lot of bang for the buck! Our company was founded in 2012 by Daniel Pusilo, a PGA Professional who recognized a need for unique, high-quality accessories that every golfer could afford. 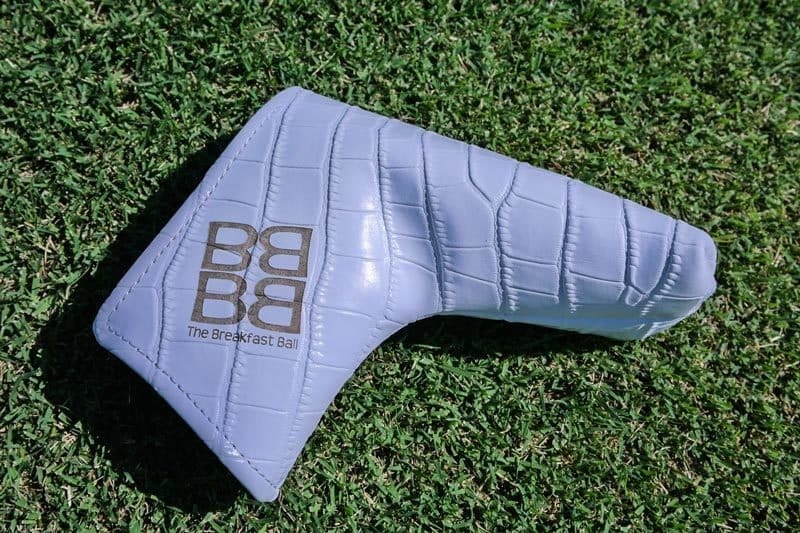 Driven by his passion for golf and inspired by the lavish alligator belts seen on the PGA Tour, Daniel developed a line of Putter Grips using cowhide leather that had been finished to feature the look and feel of alligator skin. 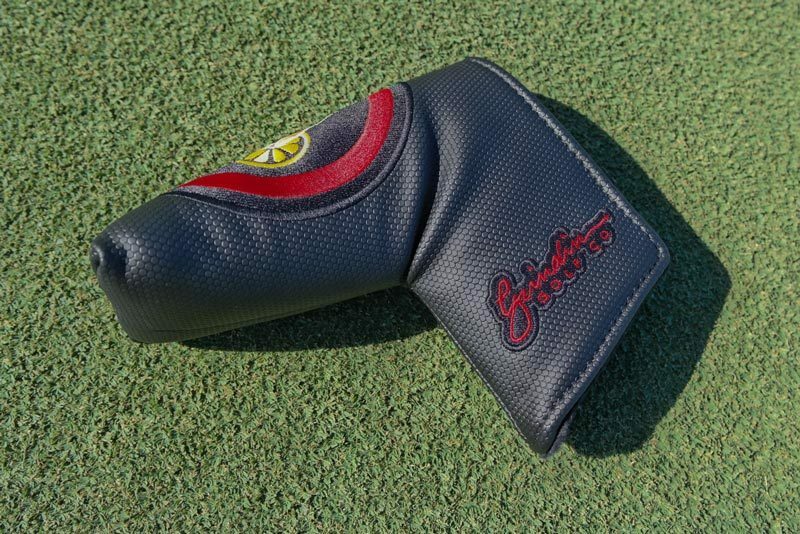 Along with the support of our awesome customers, we have been able to grow our business and expand our product line to include head covers, scorecard holder & yardage book covers, belts, cash cover wallets and valuables pouches.We think it’s an exciting time to be in the golf business, and we promise to keep creating unique items and providing exceptional customer service. 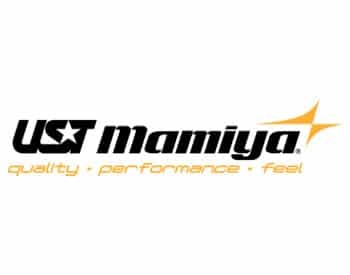 This company is going to be for the swag seeker adding an exotic touch to the bag. 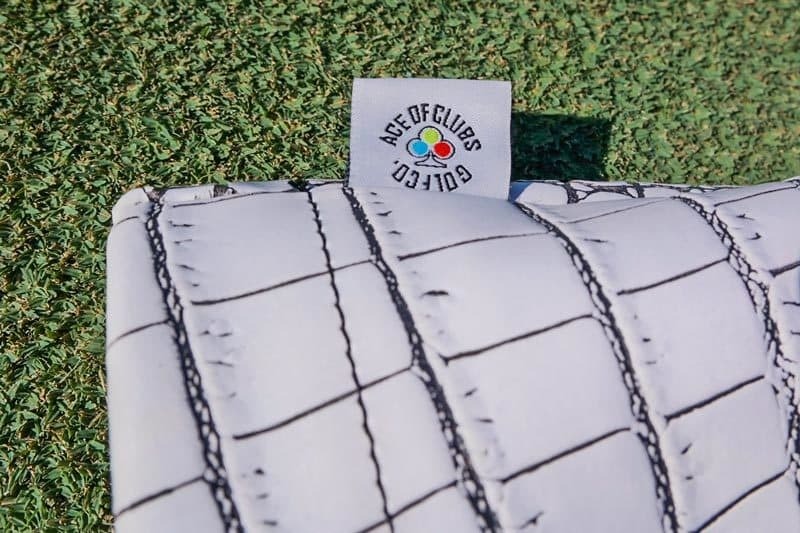 Ace of Clubs specializes in exotic materials for driver covers, hybrid covers, and putter covers. We received a driver cover and a custom putter cover. Seen in the pictures, is Ace of Clubs customization ability. 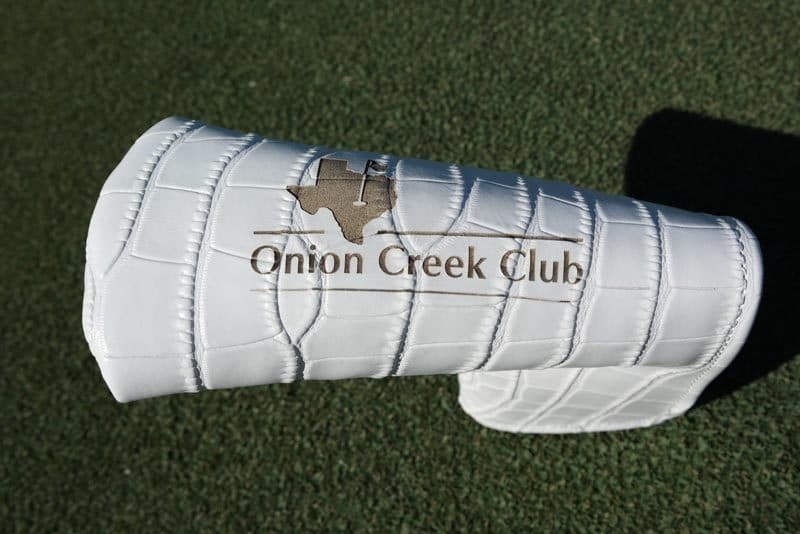 They added my local course, Onion Creek Club, and our Blog logo to the putter cover. Everything about these two covers screamed high class to me. I have always been a fan of the players who compliment their outfit with an exotic skin belt but had never seen covers in person. For having such a hard material, the driver cover is a lot more pliable than I thought it would be. The cover, lined with a beautiful padded interior, looks and feels like it would be very durable. 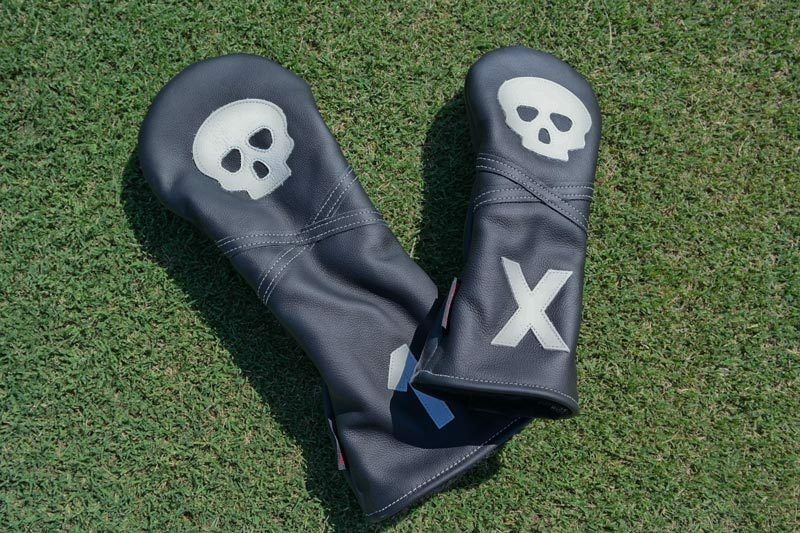 The putter cover custom logos are profound and smooth. It has a Velcro closure and black wool interior as well. For me, the customization factor was huge. 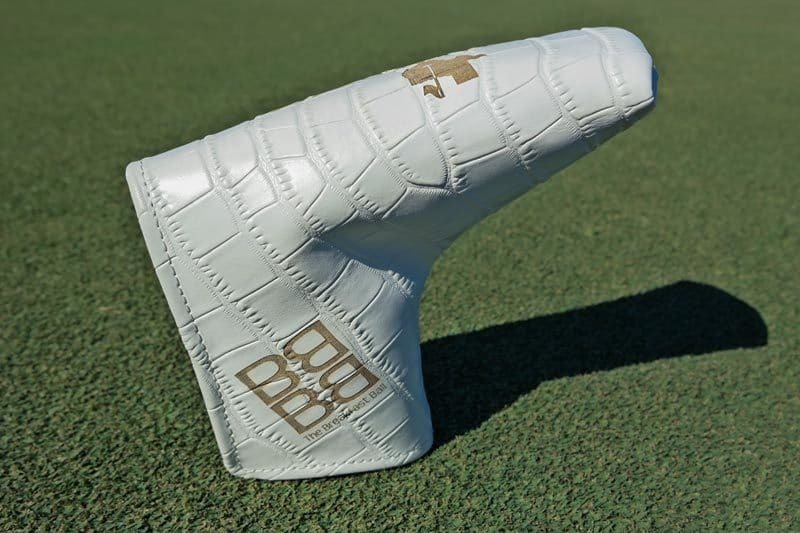 I am a big putter cover collector and love all the different releases from various companies. But to add exact logos and designs to a cover, that is already of an exotic material, actually made Ace stand out for me. 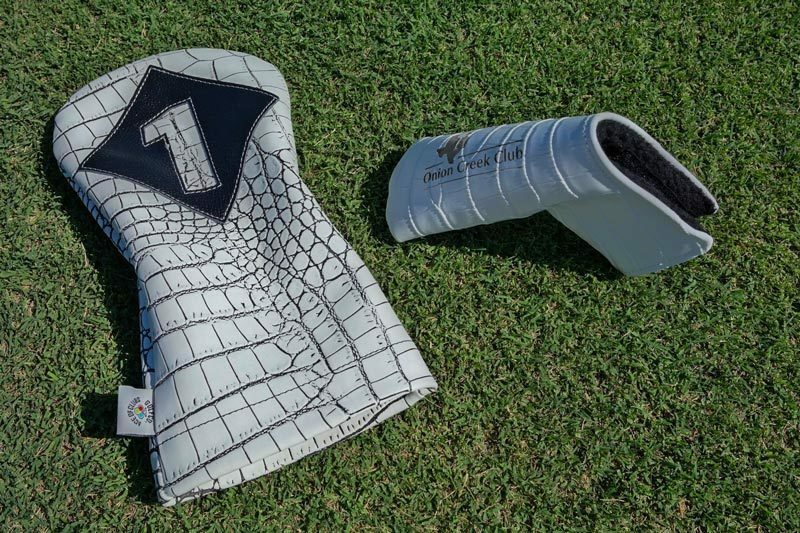 Starting at about $39 for a putter cover with no added custom work and driver covers starting at $49, these are some bag swag worthy goodies that again, will not break the bank. Check out their website and Instagram page for tons of product pictures. This company does not necessarily have a ton of background and exposure. And for a good reason. 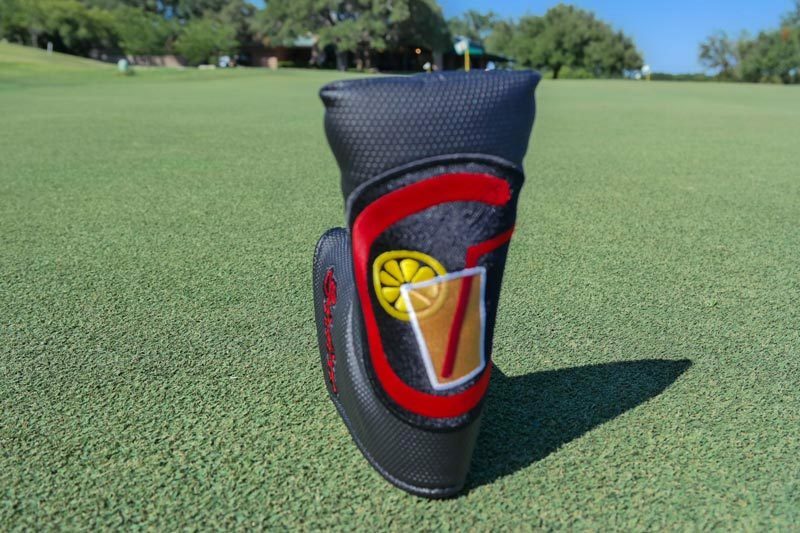 Lance, the man behind Grindin Golf, has been supplying many OE’s with their custom covers for a long time. A venture that has unexpectedly, even to Lance, scaled very quickly. Big names like Bettinardi, Tyson Lamb, Edel, Ricky Johnson and Piretti just to name a few. He has been pumping out hundreds of amazing covers for other companies for quite a few years. So why include Grindin Golf in this article? Grindin Golf will soon be bringing their own designs to the surface. So what better way to preview their work than here on The Breakfast Ball! Lance shipped us over an example of one of his ideas. The Circle-Tea. This cover is excellent quality, with vivid stitching, and a magnet enclosure system. I loved everything I saw on this cover and can’t wait for him to release more. Grindin Golf will be publishing his ideas and ways to purchase to the public soon enough. But in the meantime, check out their social media account on Instagram to get a sense of what he has been making. Some of the covers may surprise you, being they’re such a recognizable cover, now that you now know where it originated. He will be experimenting with different materials and designs but will hold faithful to the standard of a sturdy, well-built cover with a magnet enclosure. 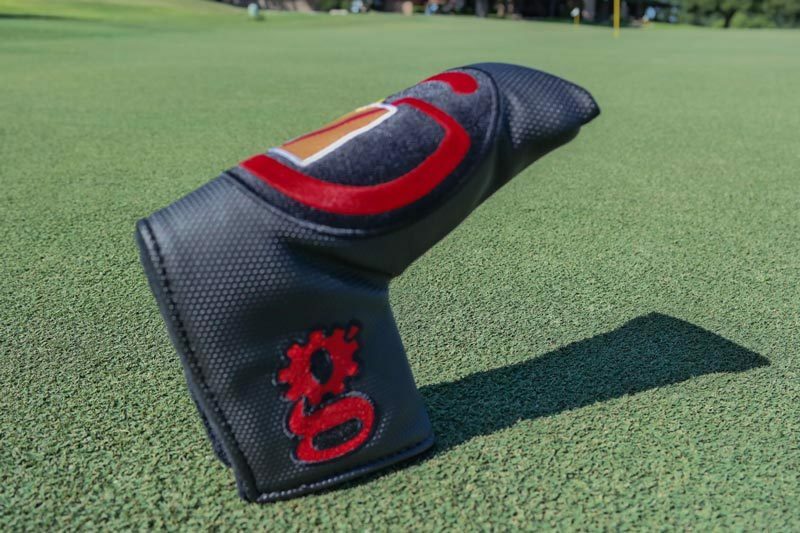 We look forward to seeing more very soon from Grindin Golf Co. So at this point, I hope we have opened your eyes to what is out there. The aftermarket cover industry, like many other golf things, can be overwhelming. But with the right direction and some education on the topic, it can make for some fun personalization opportunities. For me, it’s very much a look good, play good mentality. 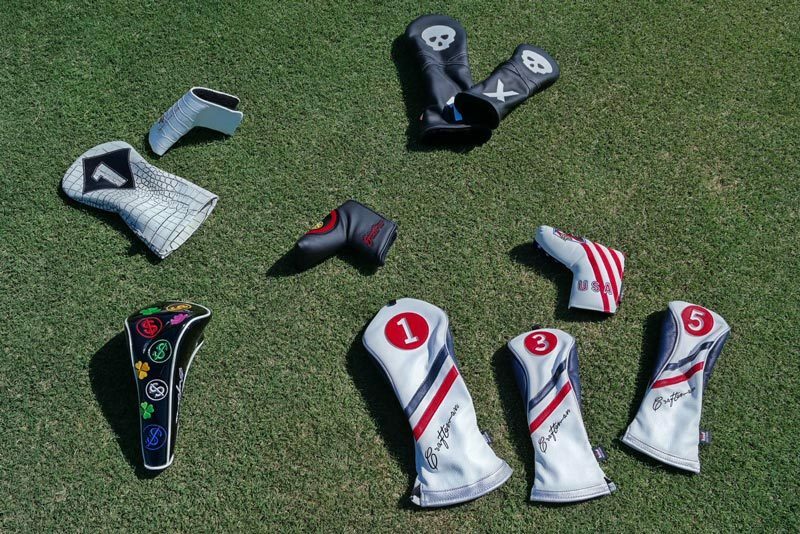 Will any of these covers shave strokes or make you a more efficient player? Absolutely not. 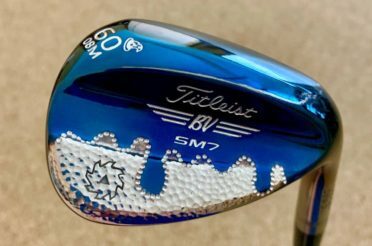 But with some stylish options in today’s market, mixed with clubs reaching an all-time high in cost, why not protect your hard earned investment in style! Have a cover company you love and think we should showcase? Leave a comment below and let’s continue the discussion. My name is JT Murphy, and I have a golf problem. 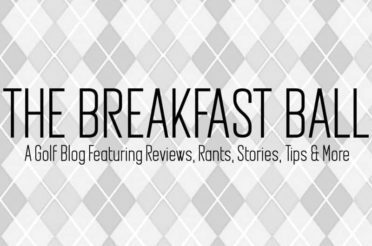 A relatively new resident of Houston, TX, I will be joining the round table with other members of The Breakfast Ball and I'll be adding my two cents to the discussion, reviews and of course golf in the Midwest!